These deals are muy caliente! 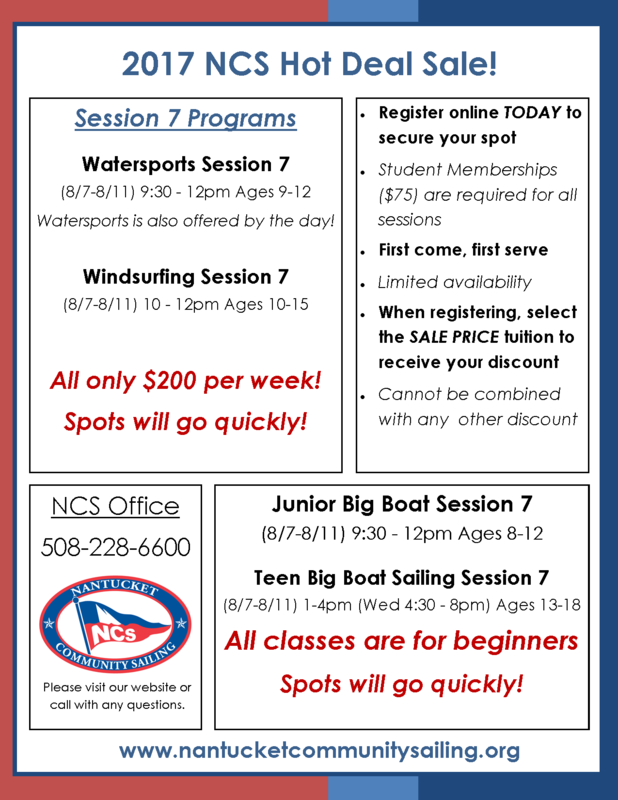 Our Watersports class is offered by the day or week. Or you can sign-up for our other classes - Windsurfing and Big Boat Sailing on a 35’ J105 Keelboat. Spread the word! First come, first serve with limited class availability. When registering, select the Hot Deal tuition price to receive your discount. All sessions are suitable for beginners. Spots will go quickly, click here to register!